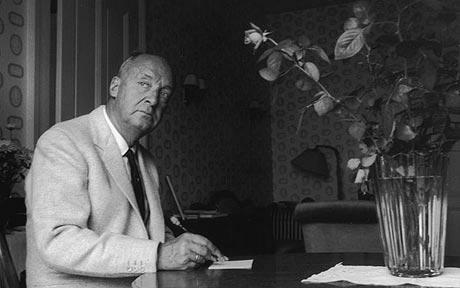 Over the course of his 52 year marriage, author Vladimir Nabokov serenaded his wife Vera Nabokov with hundreds of letters expressing his love. Now, some 300 of those letters will be published in a book for the public to read. The love letters from Vladimir to his wife will be published next year in a book entitled “Letters to Vera.” The couple’s son Dimitry Nabokov is the source behind the publishing and said he decided to publish the letters because they are beautifully written. The younger Nabokov will not, however, be including letters from his mother in the book. He decided not to publish any of her letters out of respect to her private nature.